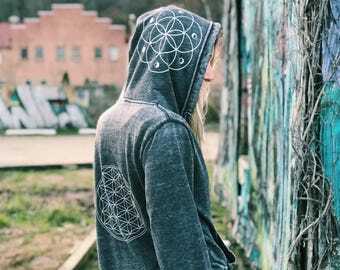 Hand drawn artwork printed on a super soft unisex Eco-fleece zip up hoodie. 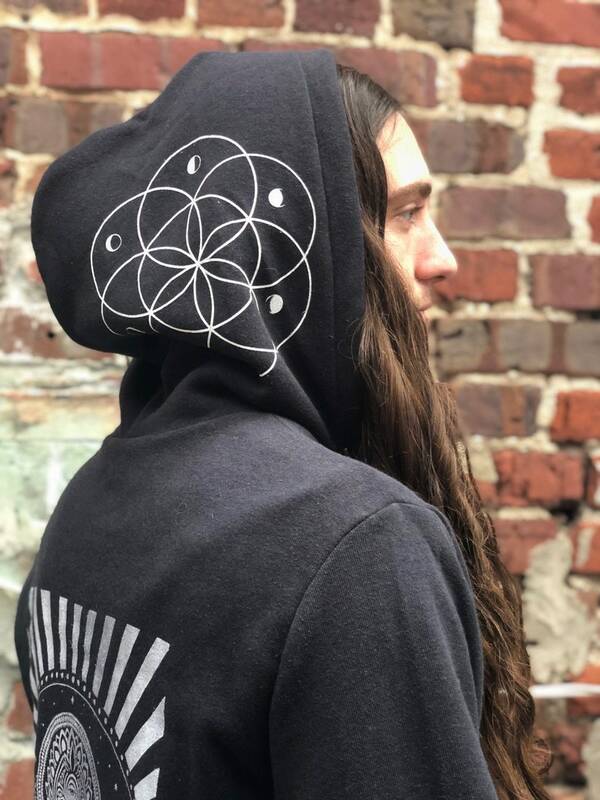 Featuring a moon phase seed of life print on the hood, and an extra large print on the back. 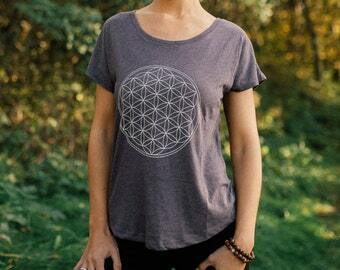 Hand screen printed using eco-friendly water based inks. Printed by hand in the Brain Candy Ink studio.